Problem Switch Task List: Is it possible to keep previously added custom columns in my tasks list when I switch from the KTM Tasks list to my own list? When you switch to your own task list, Kanban Task Manager attaches a content type "KTM Task" to that list. That content type does not contain the extra columns that you were using in your list. 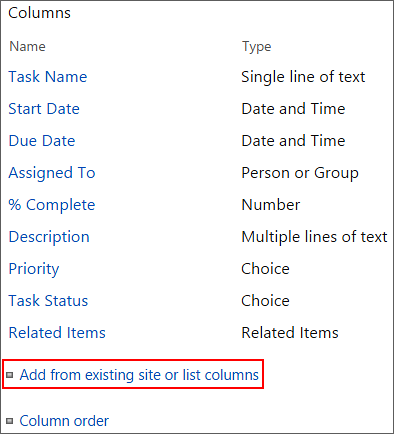 Thus, it does not include those columns in the new/edit task form. 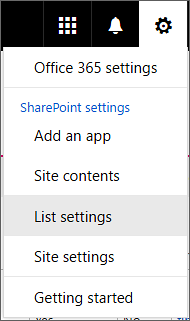 Click on the settings wheel and select List settings. Open the LIST tab and click on List Settings. Click on the "KTM Task" Content Type under "Content Types". Click on "Add from existing site or list columns" under Columns. Add your existing columns and click "OK". Now you can see these columns in the new/edit task form also. 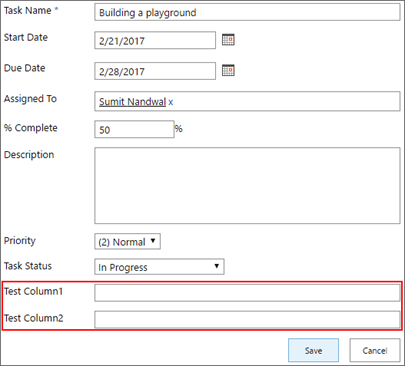 These steps are applicable for earlier added site or list columns only. When you have already switched to your own tasks list, you can add more columns to the list without problems. They will be automatically included in the new/edit task form.